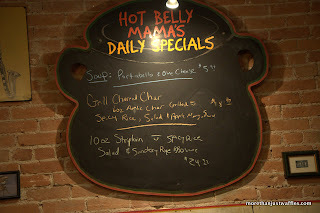 After I got back from the Arctic we attempted to go to Hot Belly Mama’s in Peterborough. It was closed but one of their special’s of the night was Arctic Char. Something tells me it was probably not as fresh as the fish I had in Iqaluit though. It’s still a great fish though. If you’re in Peterborough be sure to check out Hot Belly’s - the special is always a good choice.